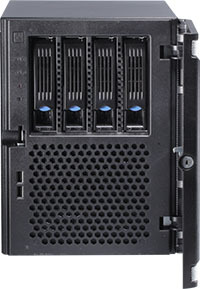 The GV-Tower VMS System V2 comes with 4 hot-swap drive bays for the storage up to 24 TB. This system has two CPU options: Intel Core i3 and i5. 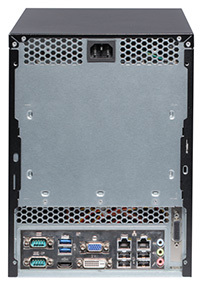 It features the latest upgraded VMS system and 64-bit Microsoft Windows Embedded OS. GV-Tower VMS System V2 supports up to 32 channels of GV-IP devices or third-party IP devices (license required). You can also bring the surveillance on the HDTV with a HDMI cable. It is a towering, affordable, and efficient VMS system that you have ever seen. GV-Hub V2 An easy way for serial port extension. This hub can add 4 RS-232/RS-485 serial ports through the GV-Tower VMS System V2’s USB port. GV-COM V2 This unit can add 1 RS-232/RS-485 serial port through the GV-Tower VMS System V2’s USB port. GV-Joystick V2 GV-Joystick facilitates the PTZ camera control. It can be either plugged into the GV-Tower VMS System’s for independent use or connected to GV-Keyboard to empower the operation.